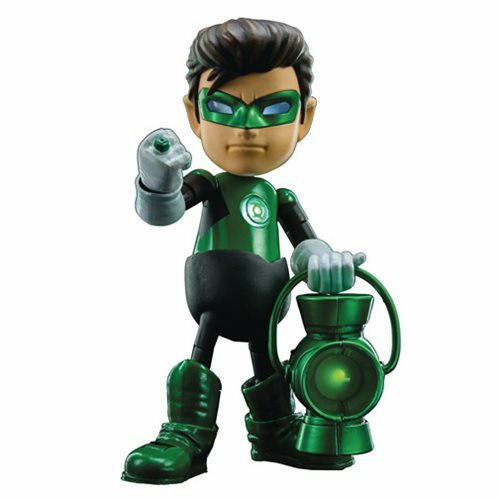 The DC Comics Green Lantern Hybrid Metal Figuration-028 Figure features a fully poseable body with over 20 points of articulation for many different action poses! Green Lantern comes with 6x interchangeable hands and fists. The hero has decked out in burnished metallic costume and 3 LED light-up areas in eyes, Green Lantern emblem on his chest, and Green Lantern Power Battery. Green Lantern stands about 5 1/2-inches tall. Ages 15 and up.